I get it. I’d want to ditch the oak and brass as soon as possible, too. In an age where everything is instant…or at least looks like it is instant…it’s hard to have a good understanding of how long things actually take when it comes to remodeling. Not to get too far down this track, but there are some things HGTV has done well and some things where it has done a disservice. Shows like Fixer Upper or Property Brothers have done an amazing job of showing design trends and grand transformations, and to some degree, how using a designer can help facilitate the process. But one thing any one-hour television show cannot communicate well is the actual time it takes from the first consultation to the final product. In a typical full-scale remodel, meaning nothing in the original room is staying, I recommend at least a 3 month process. Planning. Planning. Planning is the key to a successful remodel for any room. 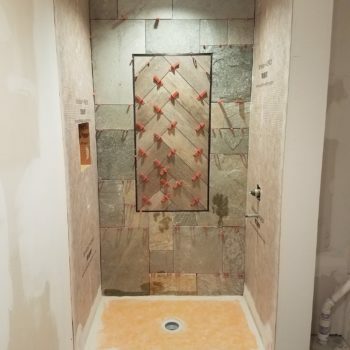 Especially in key spaces such as bathrooms and kitchens where there are a lot of parts and pieces that are below the surface (like plumbing & electrical), it is absolutely essential to have a clear, concise plan in place and items selected and ordered before the first hammer is swung. Or before you swing the first hammer. I’m a designer, not an English major. Work with me here. Meet with the designer and discuss your needs and desires and budget. A design plan is developed and refined, products are selected, contractor is secured, and project costs are defined. And yes, at least three weeks are needed for this step and possibly more, depending on the scale of your project. The more complicated, the more time. 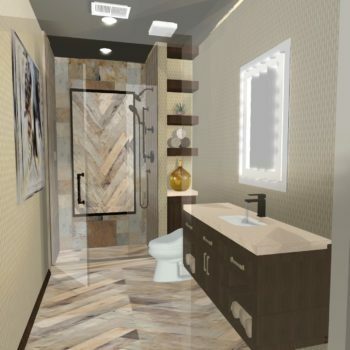 3D Renderings help you visualize how the remodel will look once complete! Order products and materials and have everything on site before the contractors arrive. 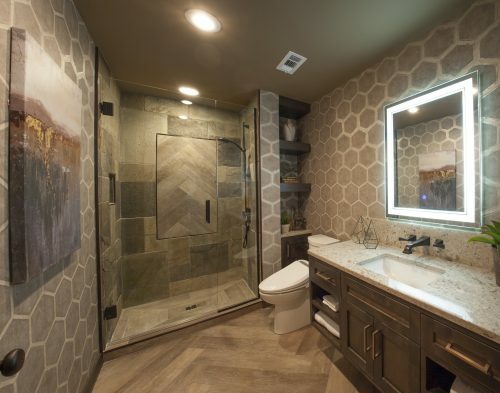 By using a designer for your remodel, the burden of ordering the right parts and pieces and in the right quantities, plus tracking and scheduling of delivery, rests on their shoulders. This is not a small thing. Not having the correct rough-in valve for the plumber could set you back 3-4 weeks! Things that tend to take the longest in this period: custom cabinets and countertops. Cabinets can take anywhere from 4-12 weeks (depending on the cabinet source and complexity of the the design.) Only after they are set can the countertops be templated, and that turnaround time is anywhere from 2-6 weeks (again, depending on the material and fabricator). Demo begins and the vision comes to life. Tile is laid, cabinets go in, lighting is hung… It’s a dirty, yet exciting time. But it should not be scary. With thorough planning, the process should be a well-oiled machine. Now, of course, every project can be hit with unforeseen issues, such as water damage to the sub- materials for example. It is so helpful to go into a remodel with an attitude of flexibility for situations that no one could have anticipated. Please remember…this is just a guide. This timeline is in no way a guarantee or promise or anything remotely firm. Your particular project may be very simple or very complex. Either one of these shifts on the scope continuum can affect the time a project takes. Plus, keep in mind that the time of year you want to begin can make a huge difference too. Fall is typically a very busy time for contractors as homeowners are trying to finish projects before the holidays and builders are in a race against cold weather, so trade availability could be greatly lessened. 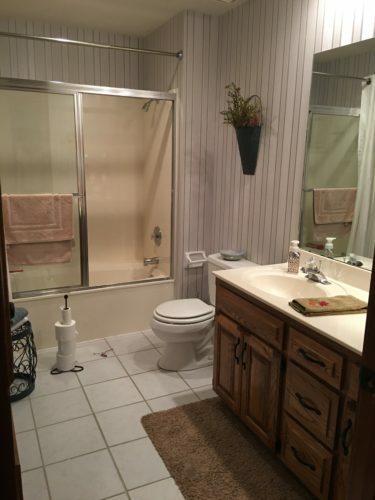 PLANNING AHEAD is the #1 way to ensure your bathroom remodel will go smoothly and with minimal surprises. Decorations meant for Lady Gaga or Bass Pro Shops?